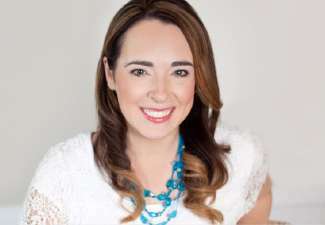 Christian News Network recently asked Ludy, a busy mother of six, pastor’s wife and leader of the ministry Set Apart Girl, to share how in an often self-centered world, moms and maidens of the Master can follow the biblical exhortation to die to self and keep Christ as the center in every aspect of their lives. Q: First, tell us a bit about the inspiration behind your latest book. You’ve written about “Set-Apart Femininity” and “Set-Apart Motherhood.” What makes “The Set-Apart Woman” different from your other set apart books? 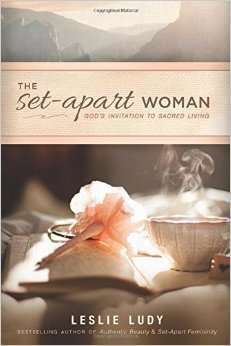 A: While “Set-Apart Femininity” was written specifically for young women and “Set-Apart Motherhood” is geared especially for moms, “The Set-Apart Woman” is a loving but passionate “wake-up call” to Christian women of all ages; it’s a challenge to come away from shallow Christianity and let our relationship with Christ radically affect every aspect of our existence. Q: In a chapter entitled “Redeeming the Time,” you challenge women to make better choices on how to use their time, and provide your own personal story of how you went from unplugging with a Friday night movie to spending your free time in prayer and worship. In a day and age when we are surrounded with messages that “It’s all about you” and “You deserve it,” can you explain why its important for women to think differently, and exchange shallow pastimes and “me time” for more Christ-centered choices? A: In a culture that promotes busyness and self-indulgence, many of us have adopted a lackadaisical mindset toward our relationship with Christ. Many of us feel distant from God. The Bible offers a practical solution for growing closer to God: “Draw near to God, and He will draw near to you” (James 4:8). This principle has certainly been proven true in my own life. My relationship Christ has flourished the most when I’ve made the choice to not merely fit Him into life, but to build my life around Him. As busy, modern women who are easily distracted by the “noise” of the culture, it’s important to ask ourselves questions like these: Am I willing to do whatever it takes to draw near to Jesus? Am I willing to lose sleep, food, productivity, social status, and “down time” in order to make time with God the highest priority of my life? Do I have a spiritual determination that says, “No obstacle will keep me from my King—even if I must go up to the rooftop and break through the house tiles to get to Him—just as the lame man’s friends did in order to get to Jesus? (see Mark 2:4). Or, am I making half-hearted attempts to spend time in prayer, and when distractions arise say, “Oh well, at least I tried.” It is only when we choose to make Jesus Christ the highest priority of our day that will we experience a thriving walk with Him and, thus, a life that really works. Q: What are some examples of how we, as women, can use our time for the glory of God this year? A: In addition to cultivating our relationship with Christ and making prayer and seeking Him our highest priority, one of the best ways to use our time for God’s glory is to turn outward and learn to love others sacrificially. There are countless ways He may lead you to lay down selfish pursuits in exchange for a life of sacrificial love. The first step is willingness. The second is prayer. If you surrender your body, your life, your time, and your resources to His purposes, you can be sure that He will open your eyes to the ways in which He desires you to become His hands and feet this this lost and dying world. Here is a quick list of some of the people for whom God’s heart is especially burdened: The persecuted church, the fatherless and widow, the impoverished, prisoners and slaves, the sick and the elderly, refugees and foreigners, the unborn, and the unsaved. Ask God to show you which of these areas to invest your time and energies into. It may be a combination of more than one. Ask Him to burden you with His heart and His love for these precious lives. And ask Him to open your eyes to the needs right around you, and around the world. Q: In a chapter entitled “An Undivided Heart,” you talk about how our hobbies, interests and preoccupation with self-indulgence can become idols. This can also tie in with how we spend our time. Why do you think it’s so easy for us to inadvertently place other things besides Christ on the throne? A: Idolatry sneaks into our lives in a variety of ways. When the gaze of our soul does not remain fixed upon Jesus Christ, good desires (such as taking care of our bodies, waiting for a godly spouse, or cultivating friendships) can morph into unhealthy preoccupations before we realize what has happened. A simple intention to eat right can turn into a fixation with health, a God-given longing for marriage can become an obsessive need to find a guy, and a healthy desire for friendship can become an addiction to approval and popularity. Often, the biggest threats to seeking Christ with an undivided heart are not overtly sinful things, but good and God-given desires that subtly start to claim too much of our focus and affection. Here are a few ways to tell if something has taken an unhealthy position in your heart: 1.) You can’t imagine giving it up. 2.) You spend more time and energy on that area than you do on your relationship with Christ. 3.) You find more delight and happiness in that area of your life than you do in your relationship with Christ. Becoming a set-apart woman means being willing to forsake any pursuit or affection that hinders your ability to be fully consecrated to Jesus Christ—even if it means making difficult sacrifices along the way. Q: How would you challenge women to come up higher in 2016, and put Scripture’s reminder that “He must increase and I must decrease” into practice in our lives—to get it off the page and make it a reality? A: As you go about your daily life, prayerfully examine the motives behind why you spend time doing the things that you do. When evaluating any activity, ask yourself these questions: Am I doing this for selfish reasons, or Christ-honoring ones? Is this activity frivolous, or does it serve a higher purpose? Here are some ways you can tell whether something has eternal value: 1.) It causes you to draw closer to Jesus Christ and/or learn more about Him. 2) It builds meaningful relationships with people God has put in your life. 3) It helps you bless others and assists you in sharing the love of Christ with them. 4) It helps you become better equipped for the things God has called you to. 4) It leaves you peacefully refreshed instead of agitated and distracted. 5) It bears “good fruit” instead of “bad fruit” in your life (see Gal 5:19-26). To evaluate whether your choices are serving God’s purposes for your life, it helps to write down the specific things that you know God has called you to, and then to compare your daily activities against those things. During this season of my life, I know that God has called me to cultivate my relationship with Him, serve my husband and children, be a keeper of my home, minister to the weak, and encourage women in biblical femininity. The Bible says that even the small areas of our lives, like eating and drinking, should be done for His glory and not our own selfish pleasure (1 Cor 10:31). If you allow your daily activities to serve God’s purposes for your life rather than your own, you will begin to gain an eternal focus in everything you do. When our lives are built around the eternal rather than the temporal, we will find fulfillment that lasts far beyond what any pop-culture distraction or selfish pleasure ever could offer.